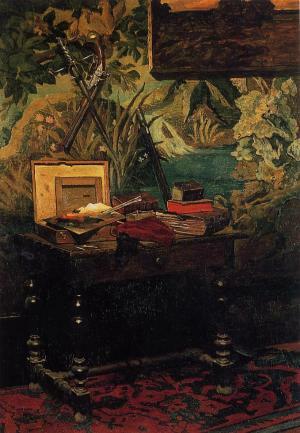 Claude Monet, Studio Corner, 1861 Impressionist art is based on the use of color, which has to "draw" the motive without resorting to line. At the beginning of his career, Monet used dark colors, as he did in the 'Studio Corner' marked by black shades. His painting evokes Courbet and the Realist School. "As for the colors I use, what's so interesting about that ? I don't think one could paint better or more brightly with another palette. The most important thing is to know how to use the colors. Their choice is a matter of habit. In short, I use white lead, cadmium yellow, vermilion, madder, cobalt blue, chrome green. Tha t's all." The color analysis enabled to identify the colors he used and the binder of the paintings : poppyseed oil and linseed oil. The former dries off slower and yellows less. 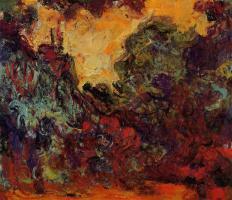 In 1908, aged 68, Monet was affected by cataracte at both eyes, he began to loose sight. The first signs of this cataracte can be found in the paintings he made in Venice in 1908. Cataracte is a progressive opacity of the crystalline lens that filters the colors. As cataracte develops, whites become yellow, greens become yellow-green and reds, oranges. Blues and purples are replaced by reds and yellows. Details fade out, shapes blurr and become hazy. 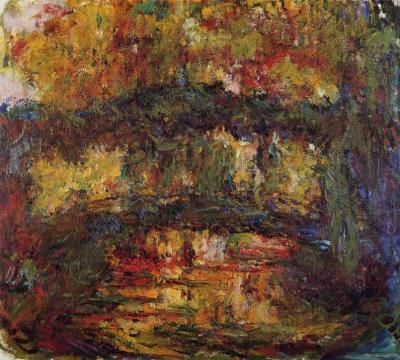 Claude Monet, The Waterlily Pond, 1897 Monet was used to paint exactly what he saw. 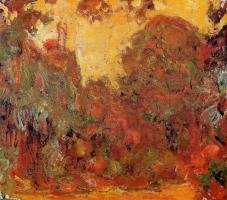 Gradually his paintings are invaded by reds and yellows. Blues vanish. Details fade like in the Weeping Willows of 1919 and the Waterlilies of 1920. 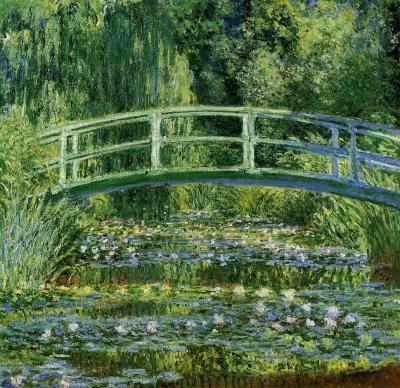 The effects of the cataracte on Monet can be observed from some paintings depicting the same motif, for instance « The Japanese Bridge "made in 1897 and "The Waterlily Pond" made in 1923. 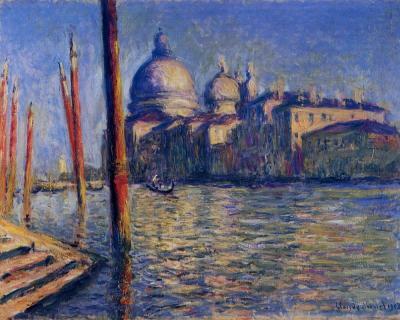 In 1911, Monet wrote to a friend : « Three days ago, I realized with terror that I didn't see anymore with my right eye." 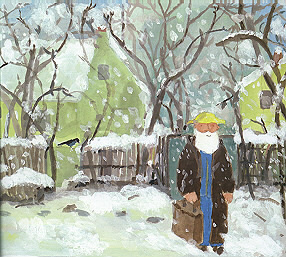 During the next years, his left eye lost gradually its acuity, and he had to stop painting in Summer of 1922. He was then almost blind. 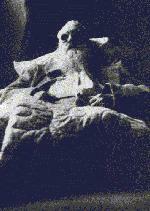 Nevertheless, his friend Georges Clemenceau convinced him to undergo surgery. In 1923, he could see again with his right eye, wearing special green glasses. But his vision was still altered, and he refused to undergo surgery for the left eye. 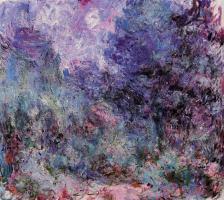 Monet resume painting as soon as 1923. The house seen from the roses garden shows the effects of the operation. In this series, Monet painted either with his left eye suffering from cataracte - everything is red, the sky is yellow - or with the operated eye - everything is blue. 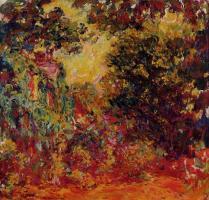 In spite of this handicap, Claude Monet continued to paint until 1926, a few monthes before he died. Bijou Le Tord is the author of the book 'A Blue Butterfly' which tells the story of Claude Monet to young children. "During the short trip I made to Paris and Giverny in preparing for this book, nothing I had seen or felt until then prepared me for what I was about to encounter at the Musée de L'Orangerie in Paris. This museum was built to house Monet's now world-famous Water Lilies paintings. As I stood there gaping at the pair of astonishing paintings, I had to humbly ask myself: How did he do it, using so few colors? 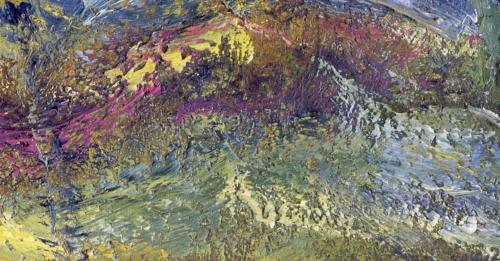 When I was ready to paint my book, I hoped I would have the courage to use the same colors Monet used. And I did, following a list he had worked with in the latter part of his life. We now know that the list was incomplete. It shows only eight colors: silver, white, cobalt violet light, emerald green, ultramarine extra-fine, vermilion (rarely), cadmium yellow light, cadmium yellow dark, and lemon yellow. "And that's all!" as Monet himself exclaimed. It was not easy for me to use someone else's palette. 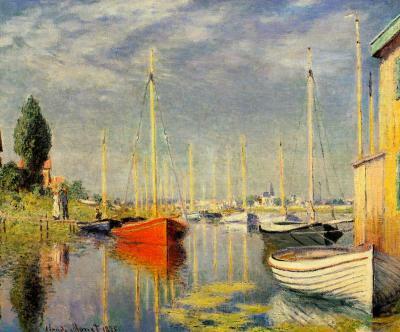 But by some strange coincidence, my own colors were very close to those of Monet. "